Healthy, clean and hydrated skin is exactly what you want to get from a facial, and after a luxurious one hour Hydra Facial treatment, you will find your wish has been granted! Combining the Beyond MediSpa‘s highly experienced Aesthetic Practitioners with the decadent surroundings of luxury women’s fashion collections in Harvey Nichols (who could fail to enjoy an hour or so at Harvey Nics?!) the Hydra Facial is guaranteed to leave your skin feeling hydrated, plumped and glowing. 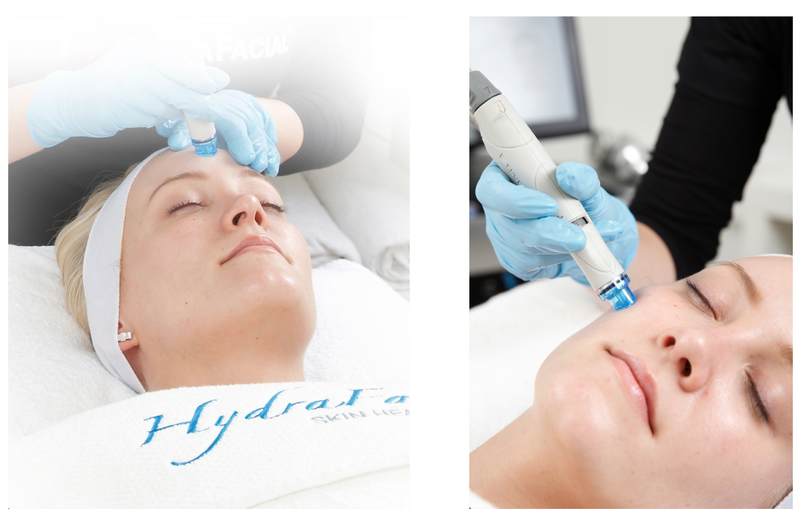 Living in the city means we often find that our skin is in desperate need of a pick-me-up, and after the madness of Fashion Month my skin was definitely looking dull and tired, so I jumped at the opportunity to try out the HydraFacial at the Beyond MediSpa in Harvey Nichols, Knightsbridge. I had never had a ‘proper’ facial before so wasn’t entirely sure what to expect – especially when I read that the treatment combines cleansing, exfoliating, extraction, hydration and antioxidant protection all in one – it sounds too good to be true! After being taken to a serene room, hidden amongst the Celine handbags and Stella McCartney dresses, I spoke through my skincare concerns to the practitioner, who also asked about my usual skincare routine (uuurrrrmmm, does any beauty blogger ever have the luxury of being able to get into a routine?!). The first stage of the facial is cleansing and exfoliation. The practitioner explained that first, and dead skin cells need to be removed and this reveals the healthy new skin underneath. A ‘reverse vacuum’ mini device then painlessly applies a cocktail of glycol solution which helps to loosen any impurities and blackheads – pores are deep cleaned and it is completely painless. The glycol solution tingles a little on the skin, but is not uncomfortable. Next, extraction can be applied if you want to majorly deep cleanse the skin – I would by lying if I said it was painless – it is not the most comfortable experience but not ‘painful’ – and most definitely worth it to see my skin totally black-head free afterwords! The second round of extraction is a painless, automated extraction using a rather funny little vortex suction machine, which cleans out pores and removes any more little blackheads that may be lurking. The final stage is the most relaxing by far – I could have almost dropped off to sleep! The hydration phase sees antioxidants and hyaluronic acid applied to skin which nourishes and protects the skin in an ‘environmental shield’. Blame Legally Blonde 2, but before going in for the treatment, Elle Woods words that ‘Every woman knows a good facial can be a painful experience if done properly, likely to result in red blotchy areas all over your skin’ were ringing in my ears – so I was pleased and relieved to see my skin looking healthy, bright and fresh straight after the treatment. So as far as first facials go, the Hydra Facial at the Beyond MediSpa has set the bar pretty high! Stepping out with totally clear skin is an addictive feeling – I even traded my foundation for a light tinted moisturiser for the week or so after the facial. A one off treatment costs £130 for 60 minutes, or you can book in a course of 3 or 6 to receive a discount. 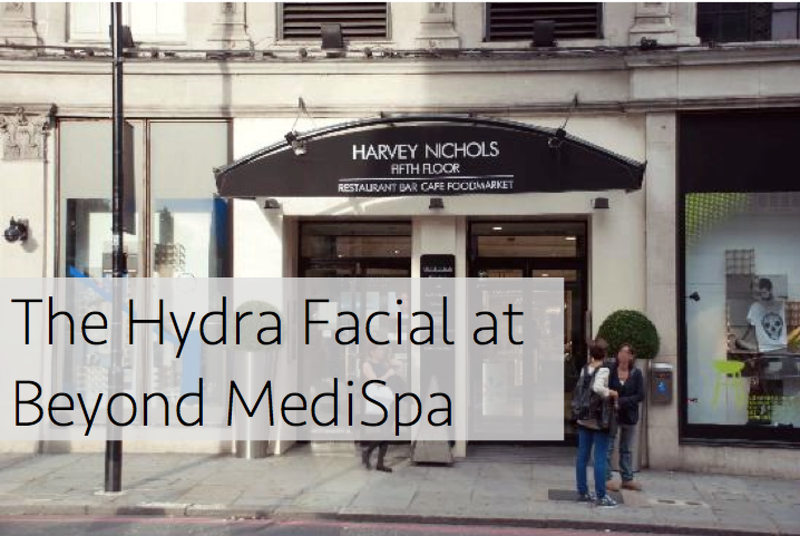 Further information on the Beyond MediSpa and the Hydra Facial can be found on their website, here. Have you ever visited the Beyond MediSpa, and what facials do you recommend?